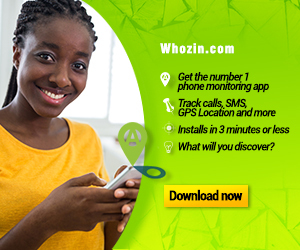 Whozin is introducing an app where you can easily track the whereabouts of your kids or anyone you so please at your convenience. After the app has been installed on your phone, you can use it to track calls, SMS, GPS location. Aside from tracking, it can also record phone calls, SMS and the whereabouts of the phone even when the person is not on call. takes just 2 minutes. This app works only on Androids phones. What are you waiting for? Download now and start recording or tracking.